I prefer using herbal soaps using summers. Reason as our skin is prone to bacteria, infection in summers very easily as we sweat more and sweat attracts bacteria. Due to excessive sweating there are good chances that one might stink. 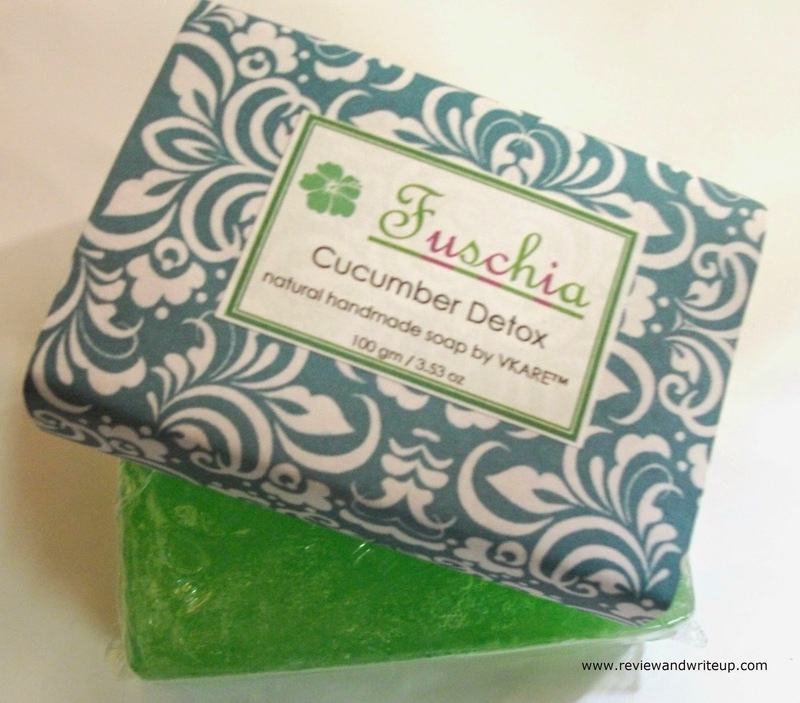 Today I am going to review Fuschia Cucumber Detox Handmade Soap which I am using these days. About the Product - Fuschia ranges in handmade skin care products which is a brand of Vkare Biosciences. Its cucumber detox soap is one of the many products by Fuschia. 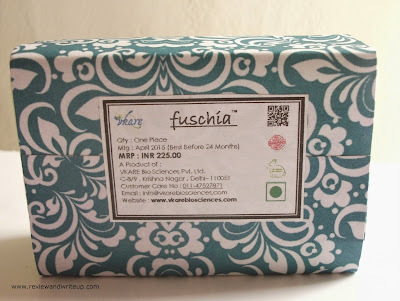 I like the brand name Fuschia, its catchy can't forget it. 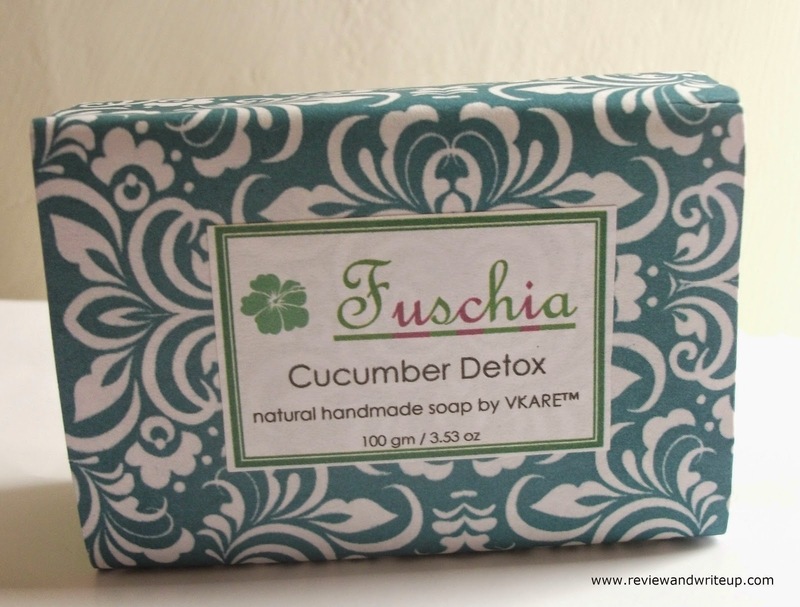 Packaging - Fuschia Cucumber Detox Handmade soap comes in a beautiful printed paper wrap. You can easily slide out soap out of it and then soap is covered with really thin transparent cellophane paper. 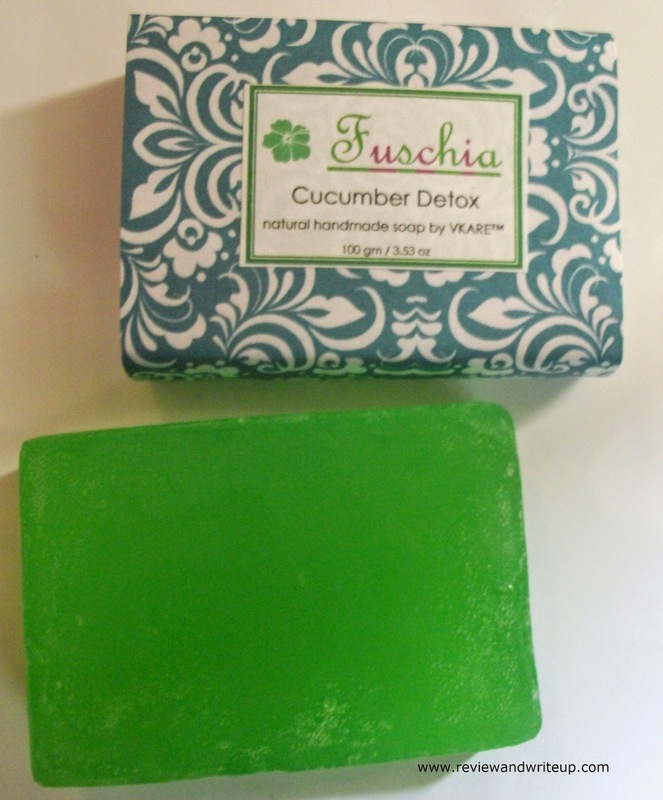 My Experience With the Product - When I held the soap for the first time I felt so happy with its mild cucumber like fragrance. Its fragrance lingers for quite sometime. I like the fact that this soap is natural and natural soaps keeps skin young (its my belief) as compared to other soaps. If you will take bath with this soap you will feel that your sweat doesn't stink. Soap glides easily on skin and it lasts long if we will use a loofah. It lathers well and leaves the skin fresh, clean and mildly scented. It reduces dullness from skin which comes due to sun and makes it look visibly clear. Best thing is that you can use this soap on face as well. I don't recommend you to use same soap for face and body. 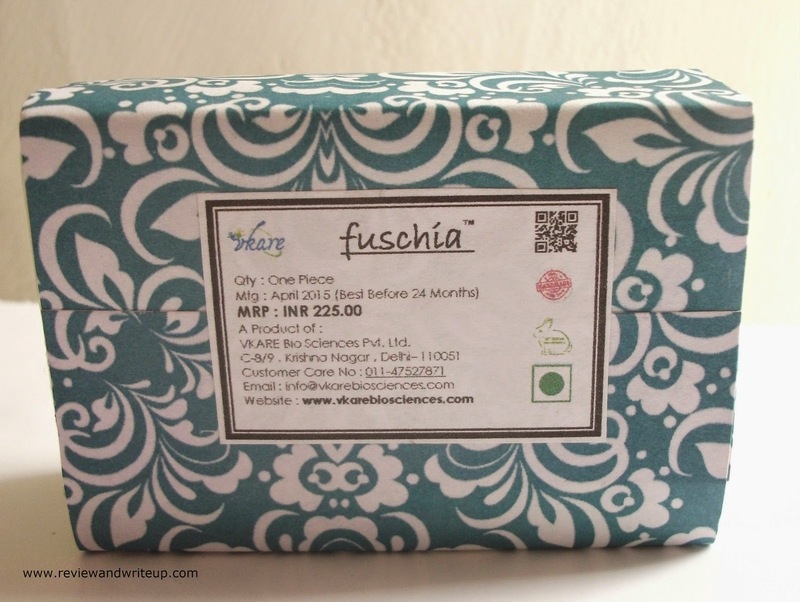 If you want to use Fuschia for face and body both then get two separate Fuschia soaps. Detox means removing unhealthy, toxins from within. This soap detoxifies skin in a better way. If you are experiencing any kind of acne problem on your back or hands I will recommend this soap. I am very happy with the results and I am planning to buy another one from Fuschia soon. 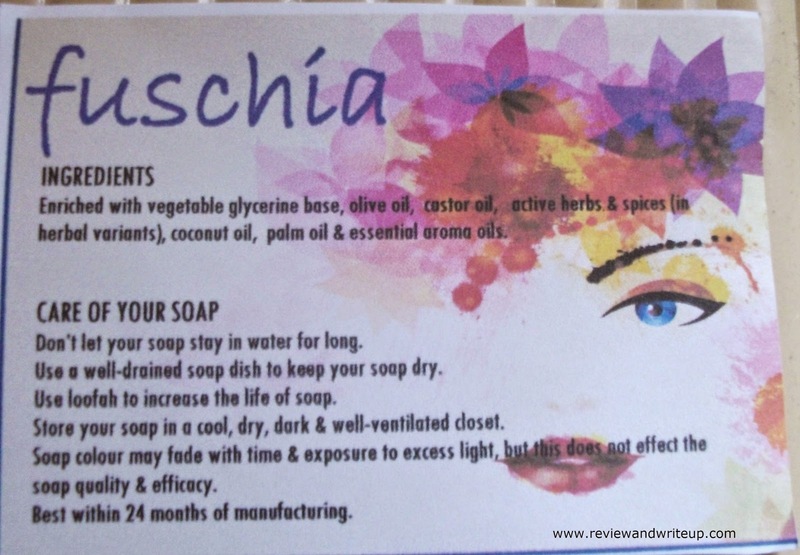 R&W Recommendation - Its a great soap to use this summer to prevent acne to effect your skin and keep it clear and fresh. I know its little pricey but if you can afford it than just go for it.